Today between Bristol & Bath sabs we filled out two landies and headed to Gloucestershire to visit our old chums from The Cotswold Vale Farmers Hunt. There’s a new huntsman in town so we thought it only fair to introduce ourselves and set the tone for the rest of his season. Gary, if you think you’re going to have an easy ride, you can think again. We took Gary and co by surprise as they left their meet in Aston Crews at 6.30am. We outnumbered the sorry excuse for a hunt so split into two teams and monitored every move they made. There was clearly a plan to lose us but between both teams of sabs and two vehicles it wasn’t long before we were back with the hunt in our sights. At one point, hounds went into full cry (on the scent of a fox) so sabs intervened and with the use of the hunting horn, took control of the pack and crushed any attempt at killing. We held the hounds for a considerable amount of time whilst Gary, clearly pissed off attempted to gather them back up. 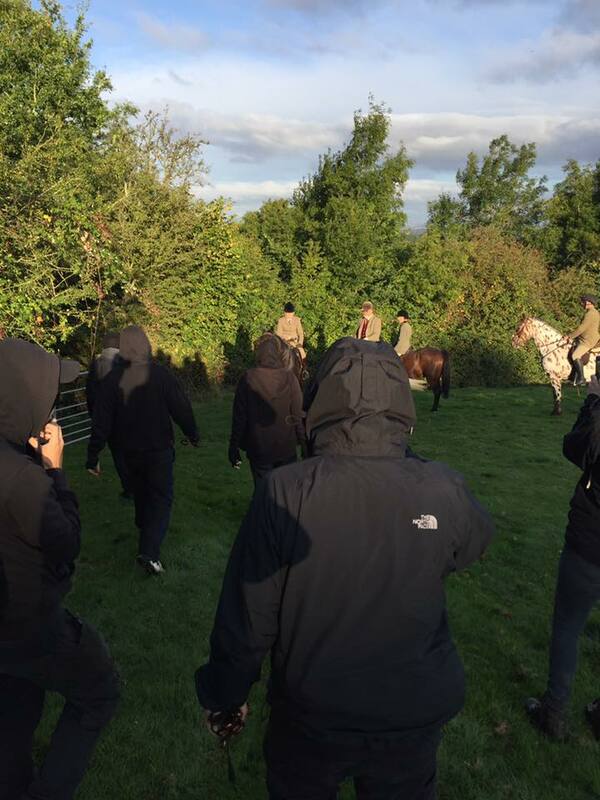 Another attempt to hunt was again swamped by sabs and it turned out to be the hunts last attempt for the day. They trotted off home so we left the area safe in the knowledge that local wildlife (including the fox we saw making an escape from the hunt) are safe for another day.